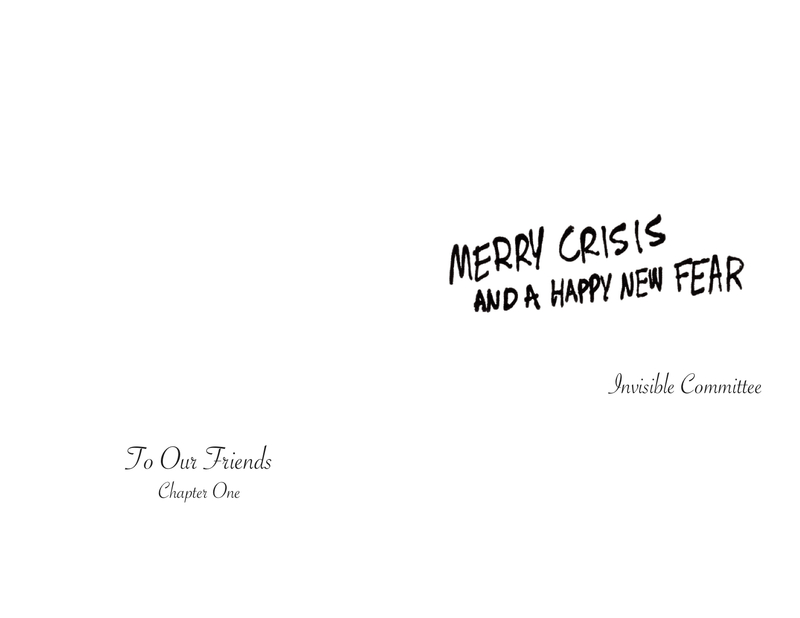 Chapter one of To Our Friends by the Invisible Committee. Next Next post: They Want to Oblige Us to Govern. We Won’t Yield to That Pressure.